We were on the lake's edge early enough to find these boats still fast asleep, gently rocked by its undulating waves. 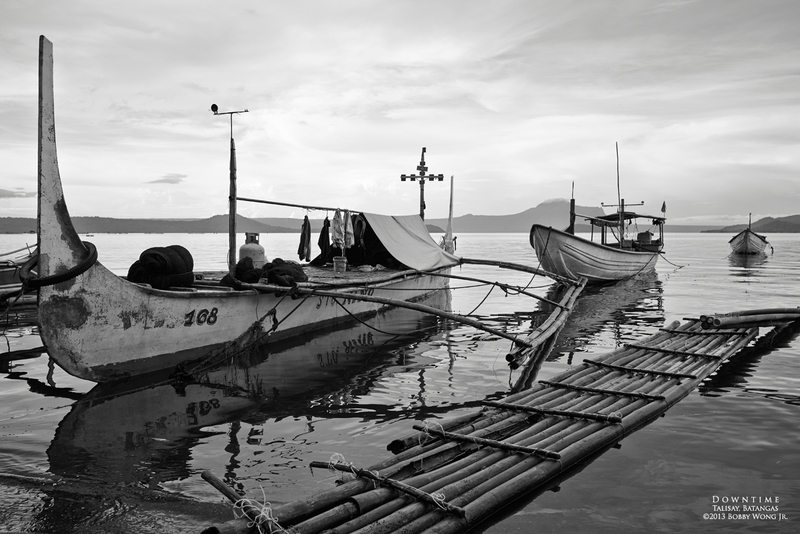 We were on the shores of Talisay in Batangas, looking out towards Taal volcano. The weatherman forecasted rain but we just had to see with our own eyes if he was right. He was, in fact, but not until we've had half an hour of exceedingly good light. What more can one ask for? Enjoy. 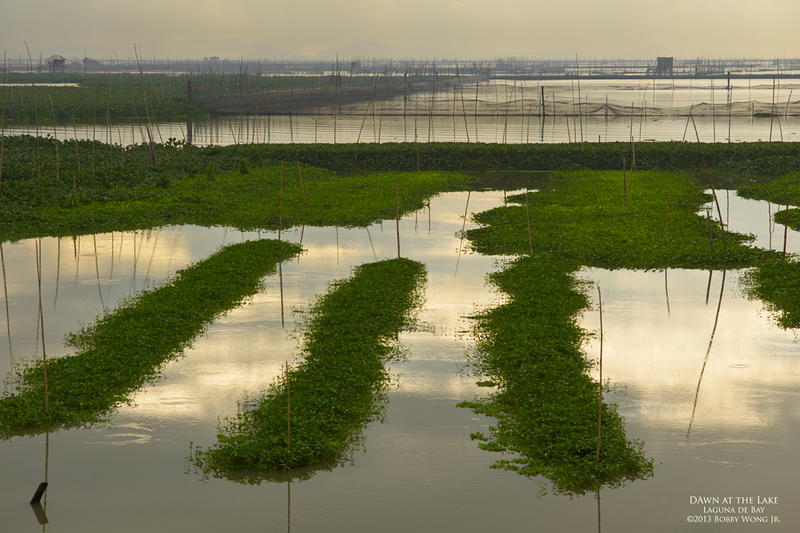 At dusk the world is dramatically transformed. 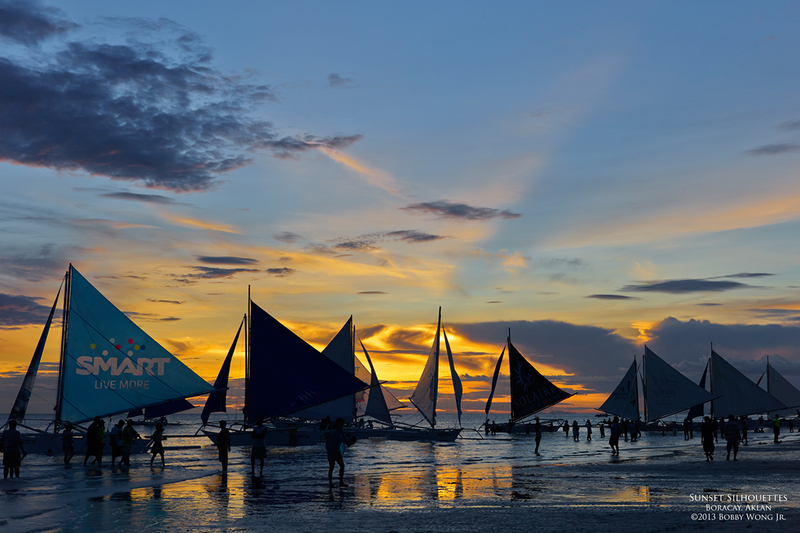 These sailboats were alive and ablaze during the golden hours... but now mere silhouettes of themselves when viewed against the fading night's sky. Light, just like life, can change in a heartbeat. Don't leave room for regret. Enjoy. 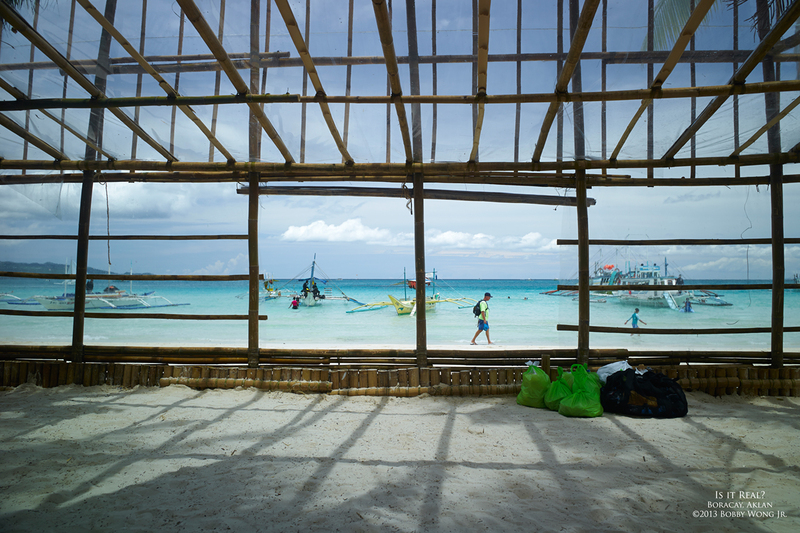 If you've ever visited Boracay island during the rainy season, you'd recognize the bamboo structures built to protect the resorts from typhoons. It obstructs the view and mars the shoreline's natural beauty... I sure wish they'd find a more aesthetic solution to this seasonal problem. But the weather was good and the water so inviting... if you can't beat them... just find a way to blend them into your composition. Enjoy.